The Adelaide Male Voice Choir is an all–male choir with a singing strength of about 40 members, dedicated to living up to its motto – “Celebrating Choral Excellence”. The Choir has a proud tradition of good singing and good fellowship, and members enjoy these two aspects of the Choir’s life throughout the year. The Choir performs three major concerts a year (May, October and November), as well as about twelve smaller concerts and several social events. These engagements are undertaken with a variety of guest artists, ranging from school students to leading bands of Adelaide. A matter of pride in the Choir is the range of repertoire performed - from grand opera to modern popular music - there is something for all tastes. The current singing strength of the Adelaide Male Voice Choir is 40, consisting of 7 first tenors, 8 second tenors, 14 baritones and 11 basses. Members come from all walks of life, and are linked by a love of singing in the male choir format. The Kelly Gang comprises former choristers of the Australian Boys Choir and is named in honour of the Choir’s founder, Vincent J Kelly. The group’s focus is on training rather than performance, with heavy emphasis on vocal technique – especially learning to cope with the “new instrument” of the changed voice – and musical development. The group has not performed often in public, although they sing from time to time with their “big brothers”, The Vocal Consort, and the boys of the Australian Boys Choir. The Big Brotherhood is a chamber choir taken from the St Laurence’s College Brotherhood, an 80 voice TTBB men’s chorus. The group is chosen by attendance; those who attend are in. The choir was originally formed by the students to offer a broader range of repertoire and greater challenge than that offered by the large choir. They meet for 30 minutes each Friday and are expected to learn the repertoire themselves due to the short lunch break rehearsal time. Most of the students study classroom music or learn an instrument. The choir has in the past earned awards at the Catholic College’s Music Festival and has performed in Brisbane, interstate and overseas. This year the choir joins the Music Department’s tour to China in September. St Laurence’s College is an inner city day school run by the Christian Brothers and boasts a large music department involving over 500 students in regular music making. The “Blokes of Barker” are the tenors and basses from Barker College’s 110 strong mixed voice senior choir. Forty of the men are delighted to be part of the first Pemulwuy Male Voice Festival, and “Blokes of Barker” was specially formed at the beginning of 2008 to prepare music for this festival. They have already enjoyed a number of performances including being conducted by Mike Brewer – Artistic Director of the National Youth Choir of Great Britain. Barker College has a vibrant choral programme with over 250 students involved in a voluntary programme from years 3 to 12. A number of the choirs from Barker College have enjoyed considerable success in competitions, and the senior choir sang at the 2002 ANCA conference in Brisbane. The choirs also tour both within Australia and overseas and number of these students were part of a tour to the UK and Europe in December 2008. The Brisbane Grammar School “Grammarphones” is a 12-voiced auditioned ensemble, featuring students from year 10 to 12 who sing in 4 part harmony. They often focus on performing contemporary repertoire and have a reputation for giving highly entertaining performances. All members are dedicated musicians who are undertaking vocal tuition, and most are also highly skilled instrumentalists. In 2007 this ensemble came first in their section of the Queensland Youth Music Awards. Previously conducted by Choral Director Ms Kate Albury, in 2008 the group are under the direction of new Head of Music Mr Peter Ingram. They are most excited about taking part in this male voice festival in their home-town, and to be hosting the talented students from Scotch College in Melbourne. The Sunshine Coast’s Buderim Male Choir has been entertaining the coast region for more than 30 years with a commitment to supporting worthy causes. Singing in the style of the classic Welsh male choirs, the choir presents a range of material including modern, classical, music from the shows, spirituals, sacred songs and other classic male-voice pieces. The choir values excellent music direction and a strong management committee which recognises the important role the choir plays in maintaining a friendly and enjoyable learning and social environment for men who want to sing. Members come from all areas of the Sunshine Coast and hinterland with total membership approaching 50. The choir’s Musical Director is Ross Jelf and the accompanist is Greg Ross. Kenmore State High School has a long heritage of choral singing in the school. Currently there are 156 students involved in the choral program which consists of the Concert Choir, Show Choir and Male Chorus. In 1997 the school introduced user-pays vocal tuition in small groups to complement and further establish the quality of singing in our ensembles. Since then the school Show Choir has either been district finalist, or Brisbane winner in the Education Queensland Choral Fanfare competition held bi-annually. The young men in this choir are mostly drawn from the school’s show choir and formed as an ensemble in 2008. Many of the boys are also accomplished instrumental musicians. Due to the extensive musical commitments the boys already have across the department, we meet only once a week for half an hour rehearsal. We are privileged to be part of a school community that supports music making and in this case young men singing! Voicemale from Knox is an ensemble from within the ranks of the Knox Grammar School Gallery Choir. The school has a long tradition of sacred choral music sung in the Chapel for regular Services. The boys’ SATB choir of approximately 60 voices tours regularly and was in Central Australia on an extensive tour in 2005. More recently they toured Melbourne’s Cathedrals and fine churches in 2007, with the mixed chamber choir, Kappella, also based at Knox. 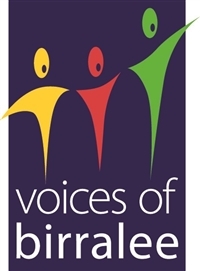 Voicemale constitutes the backbone of the Festival of Boys’ Voices held at Knox, with the collaboration of invited schools from around Sydney. The Director Erzsi Marosszeky is a graduate of the Liszt Academy in Budapest, and a post graduate student of Cincinnati University, Ohio. With a considerable performing and recording career in Australia and overseas, as a pianist and vocal coach, she has been working with the Choirs at Knox Grammar for the past 6 years. Scotch College Melbourne, has a proud tradition of singing since it’s founding in 1851. The Scotch College Chamber Choir is an auditioned choir of 28 boys in years 9-12, who are also members of the 140 voice College choir. Many boys are also involved in numerous small vocal ensembles within the school. During the school year, the Chamber Choir is involved in three major school performances and performs regularly in eisteddfods other performances in the wider community. The choir has in recent years also been privileged to work with some outstanding guest clinicians and conductors, including Artist in Residence, Dr Anton Armstrong, and Roland Peelman and the Song Company in 2007-2008. The choir’s repertoire ranges from music of the 16th century to modern and popular compositions, covering both sacred and secular music. It is intended that the music chosen be both enjoyable to sing (and listen to! ), and musically educational and challenging. The Director of the Scotch College Chamber Choir is Andrew Hunter, who is Deputy Director of Music and Head of Choral Music throughout the school. The choirs’ accompanist is the well known Melbourne composer and arranger, Mr Nicholas Buc, who also teaches composition at the College. The Spooky Men’s Chorale are a fearsome bunch of larrikins with a full range of body and facial hair configurations and the sometimes accidental ability to make audiences both weep and laugh at the hopeless beauty and hapless stupidity of their vocal machinations. Known for unusual fetishism around costumery, choreography and beard grooming, the Spooky Men also redefine pointless grandeur and incomprehensible masculine boofiness with such tawdry anthems as ‘Don’t Stand between a Man and His Tool’. They come north to Queensland clutching copies of their new CD 'Stop Scratching It' in their hairy fists. Their second CD is a recording odyssey which, unlike their first CD 'Tooled Up', involved the death of no mastodons and provoked the SMH to dub them "surely the finest a capella group in the land". During the 2008 Pemulwuy Festival, The Spooky Men performed the commissioned piece "Journey Home" by Blue Mountains based composer, Paul Jarman, as well as haunting Georgian polyphony, remodeled rock standards and purpose built originals by Spookmeister Stephen Taberner, such as their paean to 21st century masculine aspirations, "Magnificent". The Toowoomba Grammar School “Grammarphones” was formed in 1993 to provide the boys of the school with an ensemble to explore Doo Wop, Barbershop Chorus and Rockapella styles of A Capella singing. Usually numbering between 12 – 16 voices this ensemble enjoys a high profile in the Toowoomba community and regularly performs around the Darling Downs. During their time together the ensemble has toured Queensland, New South Wales and in 2006 embarked on their first international tour to the USA. Next year they hope to be part of the Pacific Basin Choral Festival in Hawaii. They are very excited to be involved in Pemulwuy and sharing the stage with some of Australia’s most prestigious ensembles.